Anchor Hocking canister set contains (1) 58-ounce, (1) 46-ounce, (1) 27-ounce and (1) 21-ounce glass storage jars with glass lids. Clear glass allows contents of jar to be easily seen without removing the lid. Apothecary style design can complement any décor in any room. 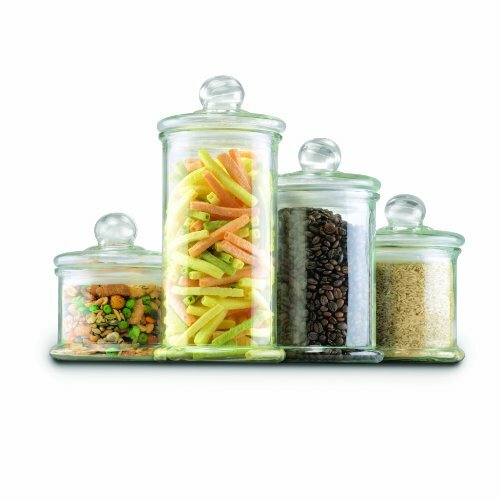 Keep food fresh and on display with this Anchor Hocking set of 4 glass canisters with glass lids.